Air Excellence Heating & Cooling has been providing outstanding HVAC services to the residents of the Ellisville area for over 30 years. We are a customer-focused business with expertise and extensive experience in heating and cooling repairs, maintenance, and installation. No matter how big or how small your home comfort request, we’ll be there to get the job done right! As the premier heating and AC company in the greater St. Louis area, we are also proud to be an integral member of our community. We regularly participate in community charities and local causes, including One Child Matters and Holt International. This dedication to service and generosity comes all the way from the top is exemplified in each one of our employees. We put the needs of those we serve first, and our respect and compassion for our neighbors allows us to be the most trustworthy and dependable heating and AC company around. Living in Ellisville, MO means having an air conditioner for those sweltering hot days. When you need repairs or maintenance on your air conditioner, Air Excellence Heating & Cooling is always here to serve you. Our expert AC company also provides fantastic AC installation services, and will help you find the perfect cooling system for your home. 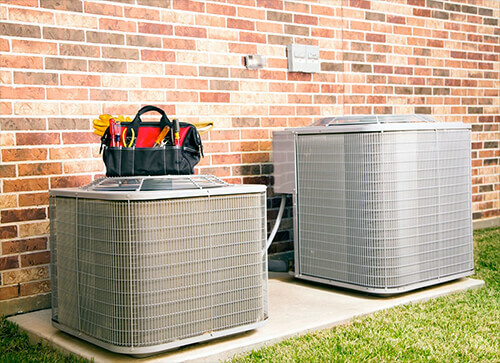 Air Excellence Heating & Cooling also provides comprehensive furnace and heat pump services, including repairs, maintenance, and installation. From fixing small problems with your heating system to replacing parts or repairing large issues, our technicians are ready to provide the best heating services in the Ellisville area. Need a new furnace or heat pump? Air Excellence Heating & Cooling provides reliable heating systems and a highly professional installation process. We’ll help you find an optimal model to fit your needs to keep your home warm all winter long. For the best in heating and cooling, choose Air Excellence Heating & Cooling! With more than 30 years in the HVAC business, we’ve earned our place as a top-quality heating and AC company in the Ellisville area. Allow us to do what we do best and provide you with superior HVAC repairs, installation, indoor air quality, and maintenance services!